It was sad enough to read about how Mimikyu dresses up like a popular Pokémon because it also wants to be loved. 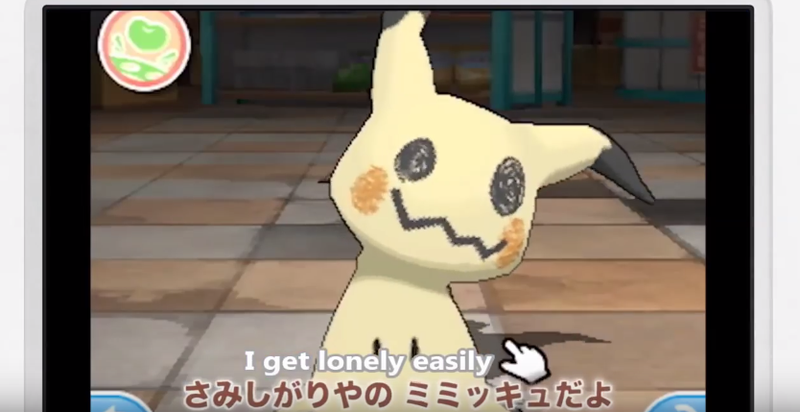 It’s another thing entirely to hear Mimikyu sing about its woes. Earlier this month I spoke to Junichi Masuda, producer on Sun and Moon, as well as Shigeru Ohmori, director on Sun and Moon, and they were pretty coy about what’s underneath the Pikachu cloth. They did, however, reiterate that SOMEthing was down there, but that it was a mystery because the creature curses whoever tries to look. Heh.